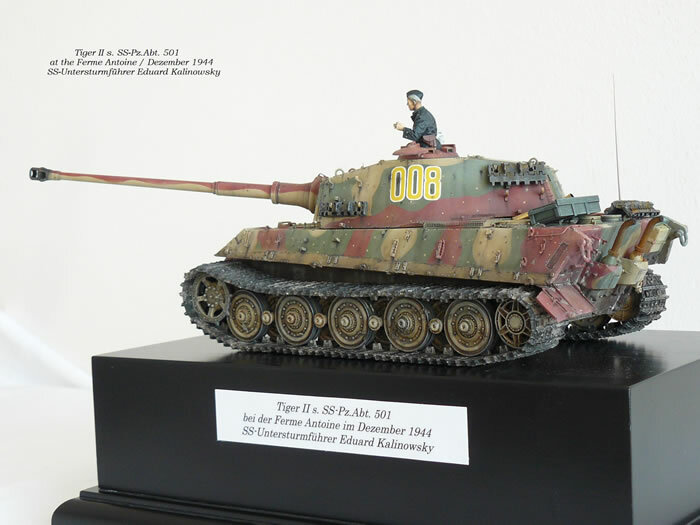 Here are four photos of my King Tiger 008 of Schwere SS Panzerabteilung 501. 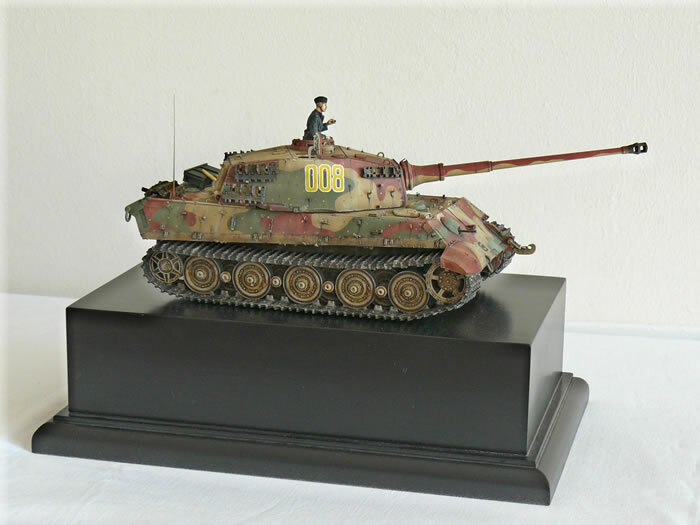 This is Dragon’s 1/35 scale King Tiger with Friul-tracks, and the Voyager etch set. The figure is from Alpine with Hornet head. 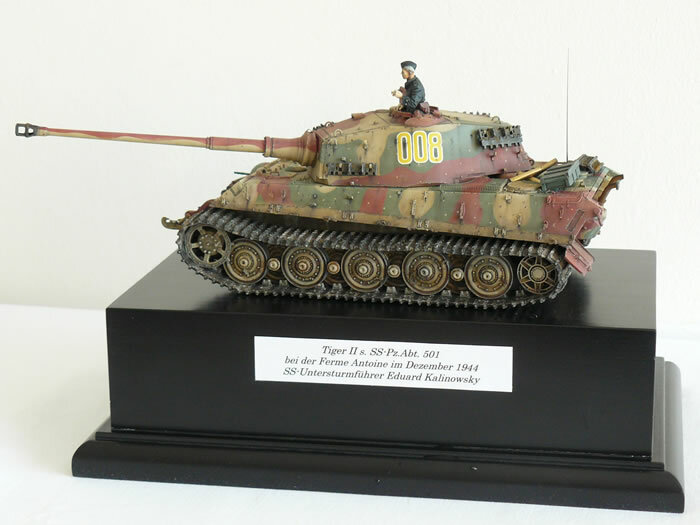 My model is finished in Tamiya acrylics, weathered using MIG oils and pigment and Humbrol for dry brushing. The magnificent piece of black wood is from Sockelshop here in Germany.